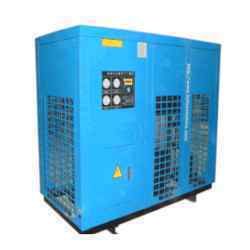 Pioneers in the industry, we offer desiccant air dryer, refrigerated air dryer, heatless air dryer, oil less compressor, air compressor dryer system and adsorption air dryer from India. 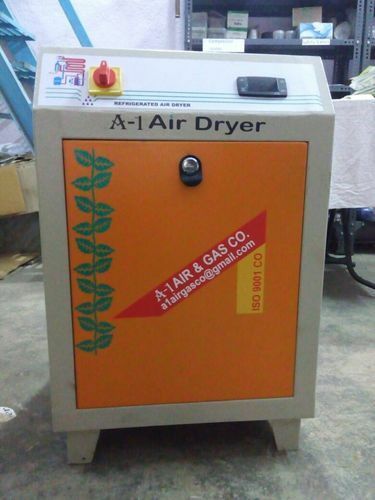 A-1 offers quality desiccant air dryer or twin tower dryer being manufactured using excellent quality raw material and latest technology by our skilled professionals and is further exported in different countries. In this type of dryer compressed air is passed through pressure vessel having two towers filled with activated alumina balls or molecular sieves as desiccant material. these material attracts the water from the compressed air via adsorption and as the water clings to the desiccant, the desiccant "bed" becomes saturated. the dryer is timed to switch towers based on a standard cycle, once this cycle completes some compressed air from the system is used to purge the saturated desiccant bed by blowing the water that has adhered to the desiccant off. The desiccant is used to bring the dew point pressure of the compressed air to a level in which the water will no longer condense, or to remove as much water from the compressed air as possible. in order to ensure quality, these products are stringently tested on various parameters by our experts. apart from this, remarkable quality and sturdy structure increase the demand of our offered range in the market. If moisture is your serious quality problem than we have the solution. 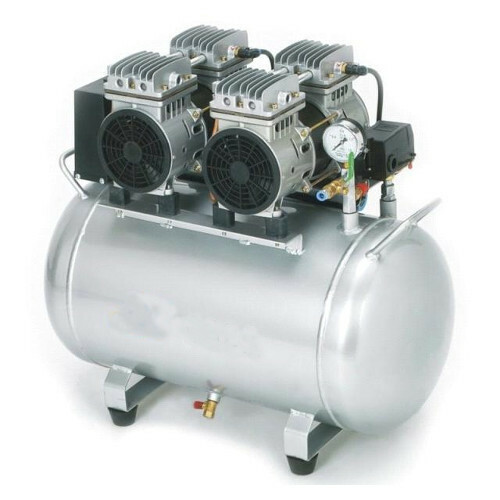 a-1 refrigerated air dryers are most reliable and efficient equipment. the unit has 0.1 to 5 micron dust removal pre filter and 0.03mg/m3 oil removal fine filter.it gives constant dry and pure compressed air with dryness of 3 deg. pdp. Work successfully for varied load. Perfect working for a longer time. capacity: 15 cfm to 5000 cfm @ up to 70 kg/cm2 working pressure. 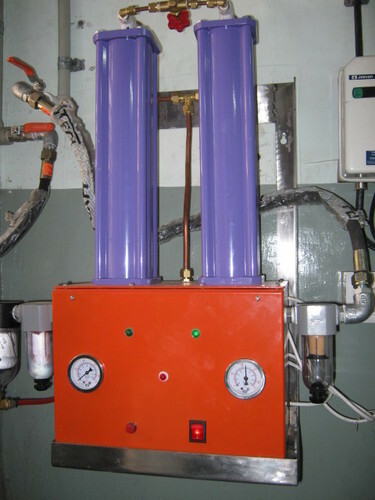 Air Connection 1/2" - 6"
being a client-centric organization, we are engaged in offering a distinct collection of heatless air dryer. air dryer purifies this impure air & remove dust, rust, burnt hydro carbon particles, oil & moisture content to get pure & dry air. our skilled professionals manufacture these dryers using well-tested raw material and sophisticated technology. in addition to this, our offered range is rigorously tested by our quality controllers against diverse parameters in order to deliver a defect-free range at clients end. moreover, the offered range is extensively appreciated by our clients for featuring variegated attributes like easy installation and durability. 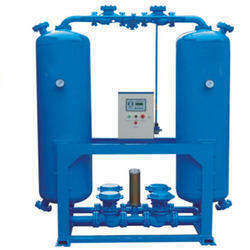 We deal into Air compressor Dryer System. 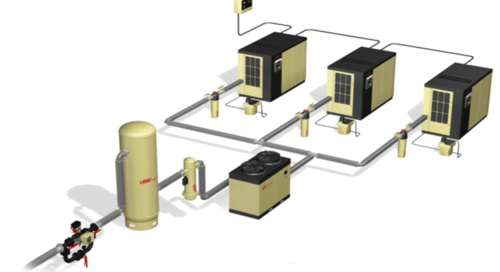 We are among the celebrated names in the industry for manufacturing and trading Air compressor Dryer System. 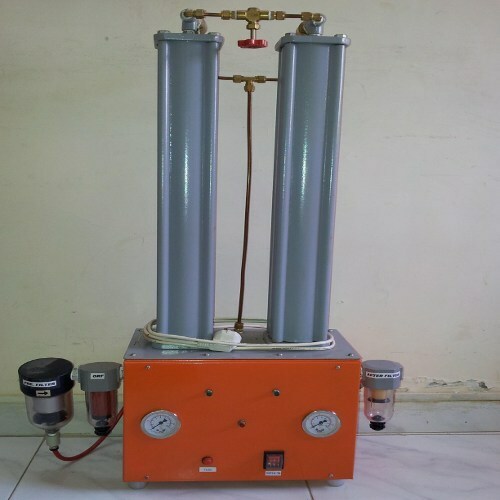 Backed by the support of our dexterous team of experts, we are able to manufacture and supply a wide gamut of quality assured Adsorption Air Dryer. Used for a low dew point and easy regeneration, these air dryers are designed using top grade material and advance technology at our end. Our offered air dryers are quality checked on various quality parameters in order to deliver a flawless range.